The International Olympic Committee (IOC) has lifted its suspension on the Russian Olympic Committee (ROC), which was imposed prior to the PyeongChang 2018 Winter Olympic Games. “We received a letter from the IOC, regarding the reinstatement of the ROC. As you know, the IOC Executive Board convened on February 25. 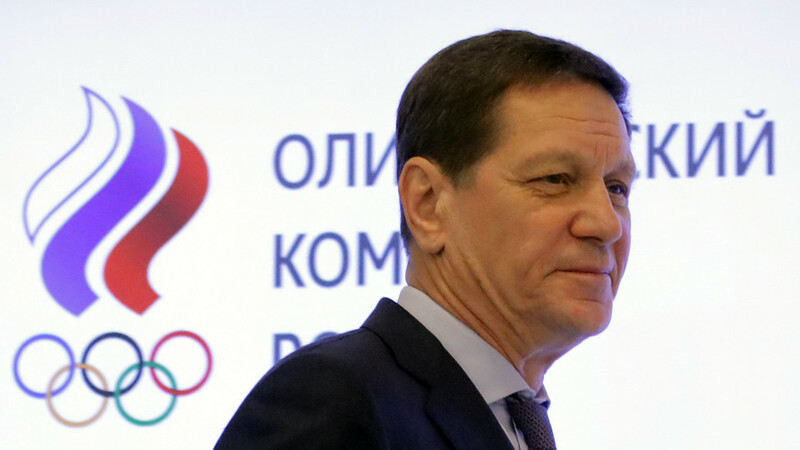 In the meeting, important decisions were made with regard to the reinstatement of the ROC’s status," ROC president Alexander Zhukov told journalists Wednesday. “This means that the ROC may exercise all the rights and carry out all the obligations in accordance with the Olympic chart like any other national Olympic Committee. So the ROC’s rights have been fully reinstated,” Zhukov added. IOC honorary member Vitaly Smirnov said, “I contacted the IOC members every day in PyeongChang, and I can assure you that the majority of them cannot imagine the Olympic movement without Russia. Russia’s and the Soviet Union’s contribution to the development of the Olympic movement cannot be underestimated. “I think that dignity and determination displayed by the Russian athletes at the Games also affected the IOC decision [to lift ban on ROC]. They realize quite well that without Russia and Russian athletes Olympic movement will be invalid,” he added. The Olympic governing body had voted to uphold the ban on Russia, citing two positive doping tests from Olympic Athletes from Russia (OAR) - bobsledder Nadezhda Sergeeva and curler Alexander Krushelnitsky - during the Games. The pair have since been disqualified and stripped of their results. In Krushelnitsky's case, he was forced to hand back a bronze medal. Following its refusal to reinstate the ROC, the Olympic governing body recommended lifting the disqualification on the condition the remainder of the doping probes of Russian athletes came out clean. First Vice President of the ROC, Stanislav Pozdnyakov, said that the organisation had a feeling of relief following the reinstatement. “Much work has been done by the ROC over the past three months. We really feel relief now. Our athletes, coaches, specialists and other members of the delegation participating in the Games had an opportunity to represent our country [in Pyeongchang] , though under the name of Olympic Athletes from Russia (OAR)," said Pozdnyakov. “Our athletes demonstrated high professionalism and courage. They managed to win a sizable amount of medals despite all the difficulties, proving that sports stands apart from politics,” he added. The IOC also stated that Russian anti-doping rules violations (ADRV) during PyeongChang did not reflect any pattern and were committed individually. In December, the IOC ruled to suspend the ROC and banned more than 50 Russian team members from competing at PyeongChang. In addition, some leading Russian athletes in several sports were not invited to the Games, despite never having been involved in doping. Those who approved for the PyeongChang Games were obliged to perform under a neutral banner and without their national flag and anthem.